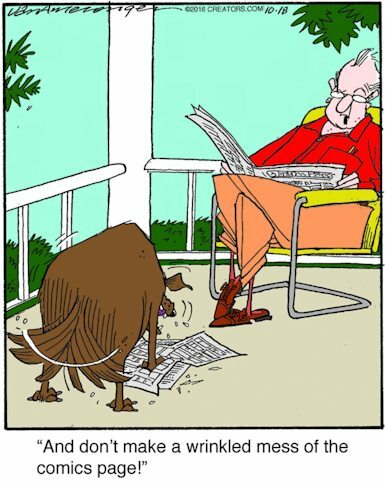 It’s the last day of the Comics Curmudgeon! Summer 2018 Fundraiser — Give now! Hurry! Thank you! Blondie and Dagwood are such experienced kissers they can carry on entire conversations with their lips locked. The chicken’s involved, the pig’s committed, and the cat’s a fan. The middle-schoolers of Luann now dress as adults but carry on the same rituals, including playground weddings. A “typical Philadelphia” street food cart. Later this trip, they’ll take in a Broadway Street play. Psst, Walt — ask for the dollar in quarters; you’ll be half a buck ahead and no bending. It’s the Fall Fundraiser! 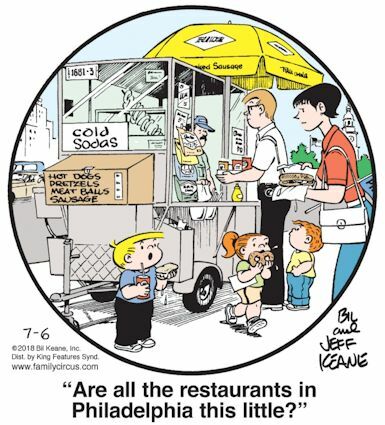 The Comics Curmudgeon is depending on generous readers like you! Lois, if you’re going to raise expectations like that, shouldn’t you make some minimal effort to meet them? Football penalty flags are yellow. The official isn’t ejecting Bull, he’s giving up. Mary suggested Iris should maybe spend a little more time with Tommy. Now she has to settle for a mere week of congratulations, because they squandered the Peace Prize on that Santos dude. 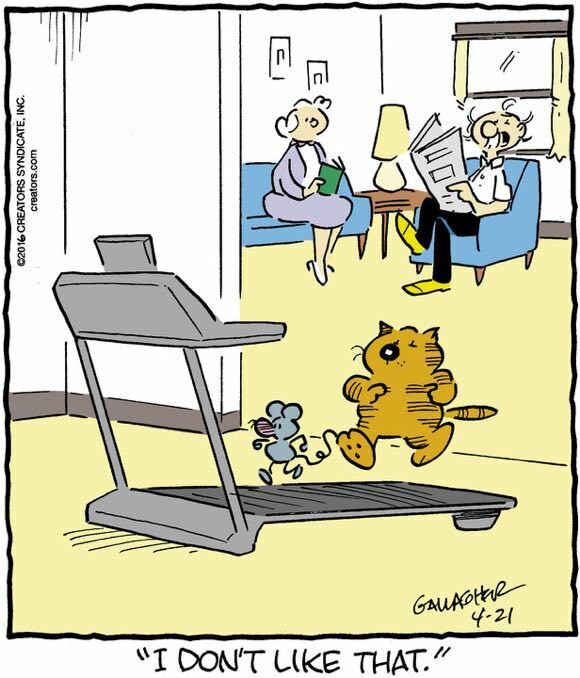 Evolution moves fast chez Heathcliff. I guess it must be far enough down the line for Michelle and Jordan Like the Country to resume flirting. ‘Cause that’s some straight-up banter right there. [extremely science nerd voice] Excuse me Tony, but while it is true that Mercury experiences temperature extremes, the theory that you seem to be referencing here, that one side of the planet is always pointed at the sun and the other always pointed away, was disproved way back in 1965, as anyone who actually watches the Science Channel would know and … oh, no, I’m wasting my life. 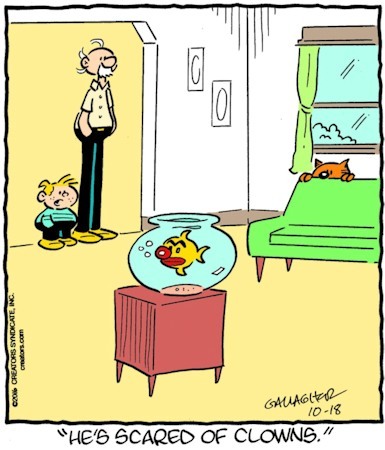 [extremely newspaper comics nerd voice] Excuse me, but everyone who reads this strip knows that Jamaal actually lives upstairs from a laundromat, so it would be highly illogical for him to refer to a “neighborhood” laundromat when he could just wash his clothes and annoy women in his own … oh, no, I’m doing it again. 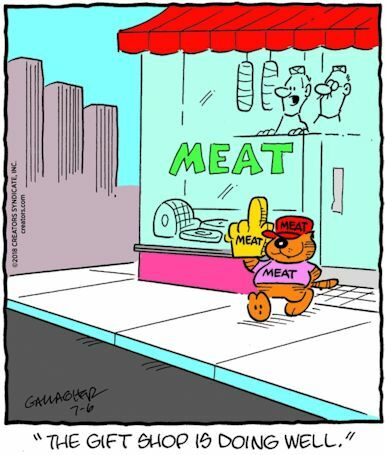 I honestly think that “I don’t like that” should replace “I’m thinking of unfriending him on Facebook” as the go-to punchline for every Heathcliff ever. It’s less specific, but I guarantee it will literally always make sense.